''Work like a captain, play like a pirate but always dress like a lady!'' Complete your (sailor) look with these cute 50s Delia Marine Flats in Ivory! 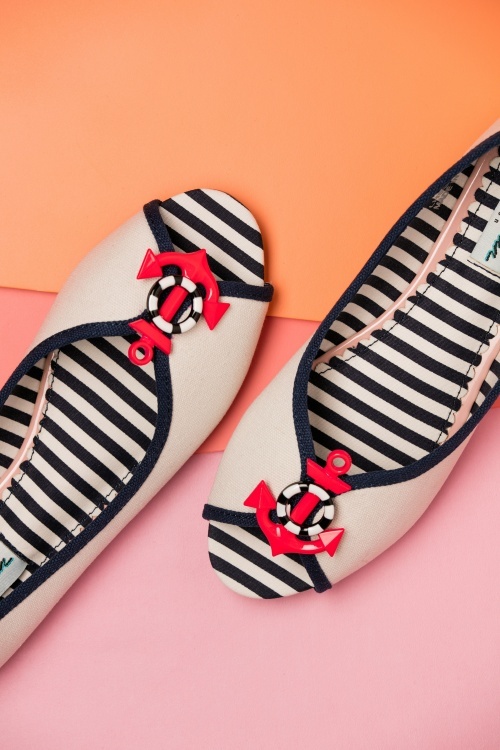 'Ahoy' new favourite flats! 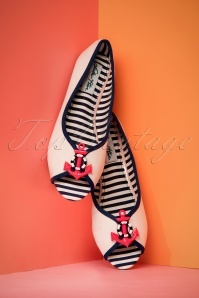 These navy inspired ballerina flats are made of high quality, ivory white canvas with navy -blue piping featuring a peeptoe and a red anchor with a lifebuoy on the front. The perfect flats voor a relaxed day at the seaside. ''All aboard!''... 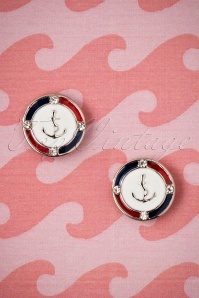 these shoes could be sailing in your direction, so be sure to order them quickly! J’ai du retourner ces chaussures car je les perdais. Dommage car je les trouvais jolies. Les petites broches sur le pied sont amovibles. Superschnelle Lieferung. Kleid passt perfekt. Ohne Reißverschluss. Das ist super. Stretchmaterial. Trägt nicht auf. Sieht echt prima aus. Ist für eine 50.er Jahre Party einfach perfekt aber auch alltagstauglich! Ist süß verpakt mit einer Überraschung. PERFEKT!